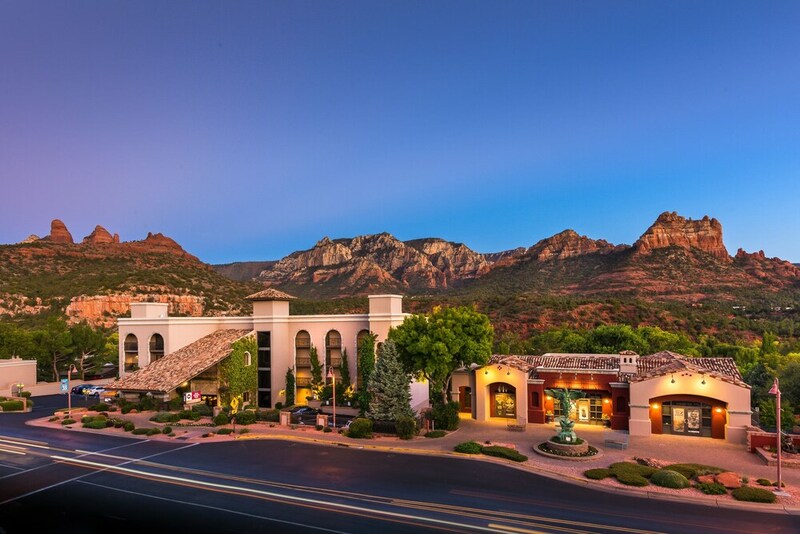 With a stay at this Uptown Sedona hotel, you'll be within half a mile (1 km) of Sedona Art Center and 2 miles (3 km) of Kuivato Gallery. Mountain Trails Galleries and Tlaquepaque Arts and Crafts Village are also within 2 miles (3 km). 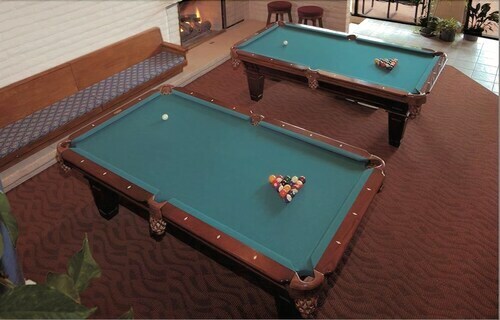 2 outdoor tennis courts, 2 spa tubs, and an indoor pool are among this hotel's featured amenities. Traveling on business? 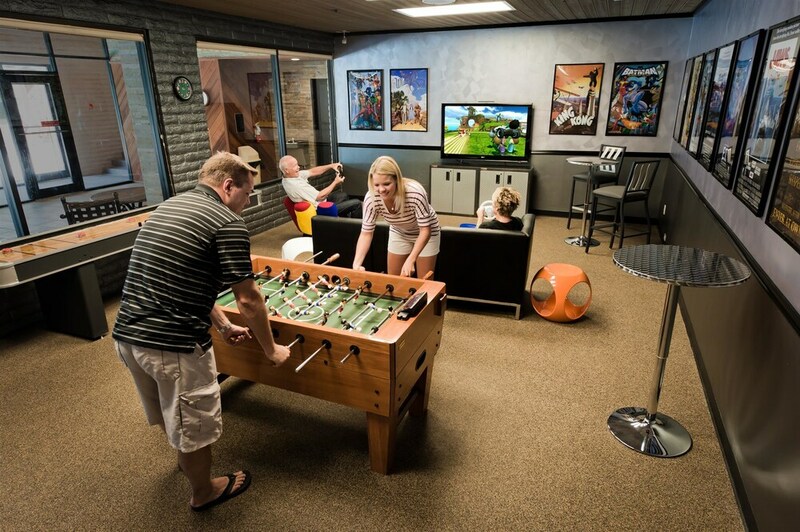 Take advantage of the free WiFi in public areas and onsite conference space. Enjoy the health club and free perks like buffet breakfast and free self parking. 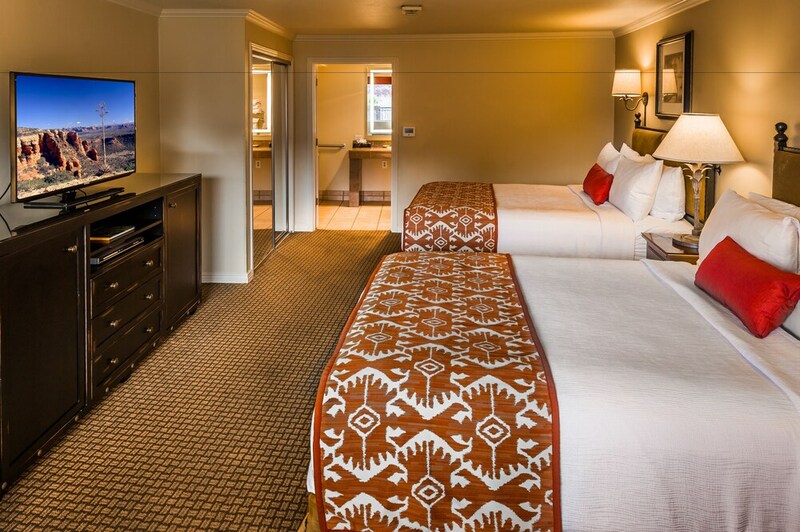 Featuring conveniences like refrigerators and microwaves, the 65 guestrooms also offer free WiFi and TVs with cable channels. Other amenities include pillowtop beds, DVD players, and coffee/tea makers. Our room was excellent for our family of 4. The grassy area outside our first floor room was a perfect "yard" for them to play in. The club house was very family/kid friendly. The location had great views and was within walking distance to local shops/restaurants/etc. Really enjoyed our stay! Thank you for your great review of your stay with us. We hope to see you again very soon! 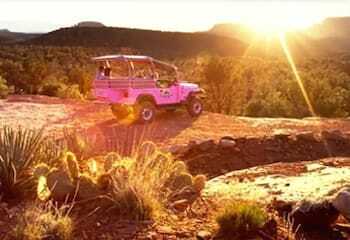 Beautiful view of the red rocks. Convient location. Thank you for staying with us and we hope you come back again very soon! Our experience was great! The grounds are beautiful with artwork and outdoor statues abounding. The view from our room was incredible. We loved being right in town. We walked to dinner and back! Great experience! Had a awesome view, breakfast was wonderful, room was nice clean, beds were comfy. Great hotel right in the middle of everything! Cons: The toiletries provided were kinda lame...they said "natural & organic" on them, but they also said "Made in China"!!!!!! 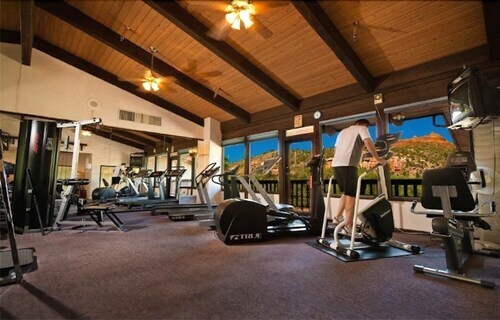 Location: The location is right in uptown Sedona, close to a ton of activities, restaurants and shops. Not a quiet area, a very very busy area. The staff at this hotel were all seriously the friendliest staff of any hotel I have ever stayed in. Always helpful, always smiling, really really great folks working here. The room was really nice, the view was SPECTACULAR. Comfy bed, plenty of pillows, towels, etc...(though the towels were sooo scratchy, but I think that's just a general hotel thing). The breakfast was good - eggs - both scrambled and a specialty egg dish each day, bacon, sausage, waffles, pastries, oatmeal/granola, yogurt, fresh fruit, super friendly & quick staff in there too. The grounds were really nice. Spent 4 nights here. Great location, nice accommodations and a very helpful and pleasant staff. Views from the room were fabulous. Very comfortable beds! The Breakfast Buffet that was included was terrific! Rock view worth every dollar! Get the rock view! You will never forget it! Worth every dollar! Great breakfast and best location in town! 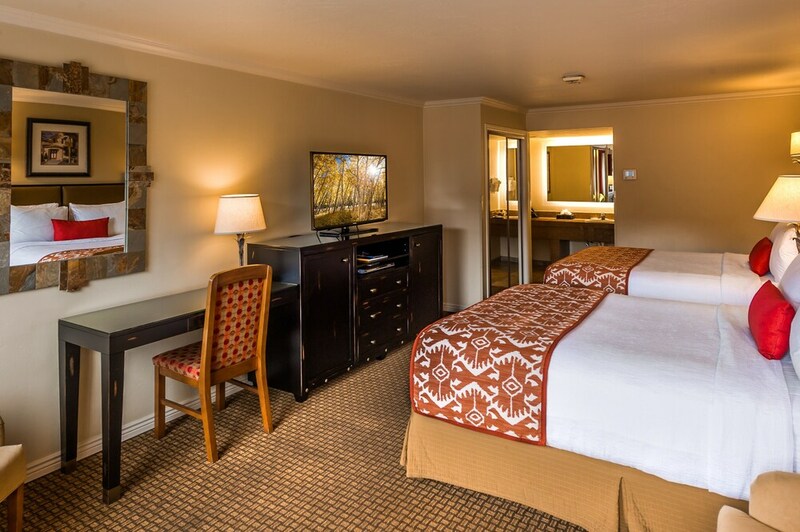 As a guest of Best Western Plus Arroyo Roble Hotel & Creekside Villas, you'll find 2 spa tubs, outdoor tennis courts, an indoor pool, and a health club. A computer station is on site and WiFi is free in public spaces. Free breakfast is served. Event space at this hotel measures 900 square feet (84 square meters) and includes conference space. A seasonal outdoor pool, a sauna, and barbecue grills are also featured at the business-friendly Best Western Plus Arroyo Roble Hotel & Creekside Villas. Free self parking is available. 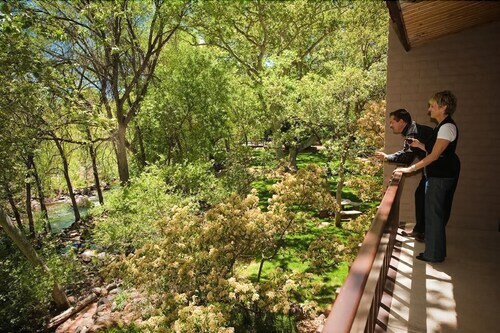 Smoking is allowed in designated areas at this Sedona hotel. 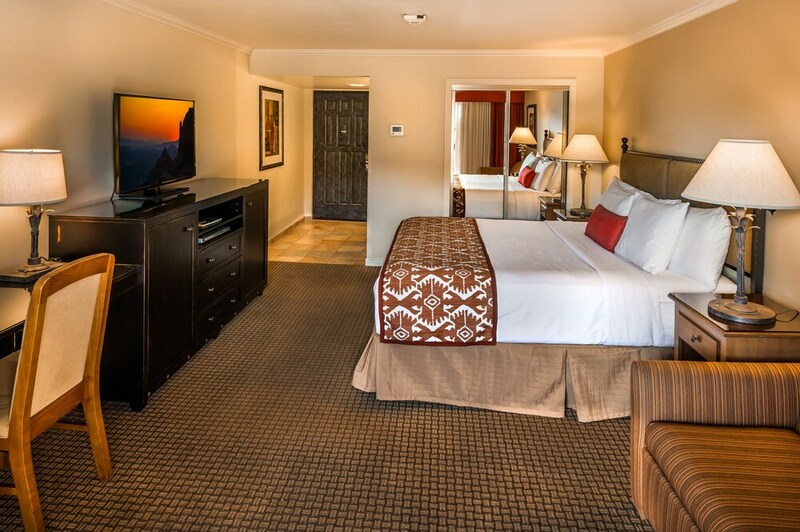 Best Western Plus Arroyo Roble Hotel & Creekside Villas offers 65 air-conditioned accommodations with DVD players and safes. Beds feature pillowtop mattresses. Guests can make use of the in-room refrigerators, microwaves, and coffee/tea makers. Bathrooms include bathtubs or showers, complimentary toiletries, and hair dryers. 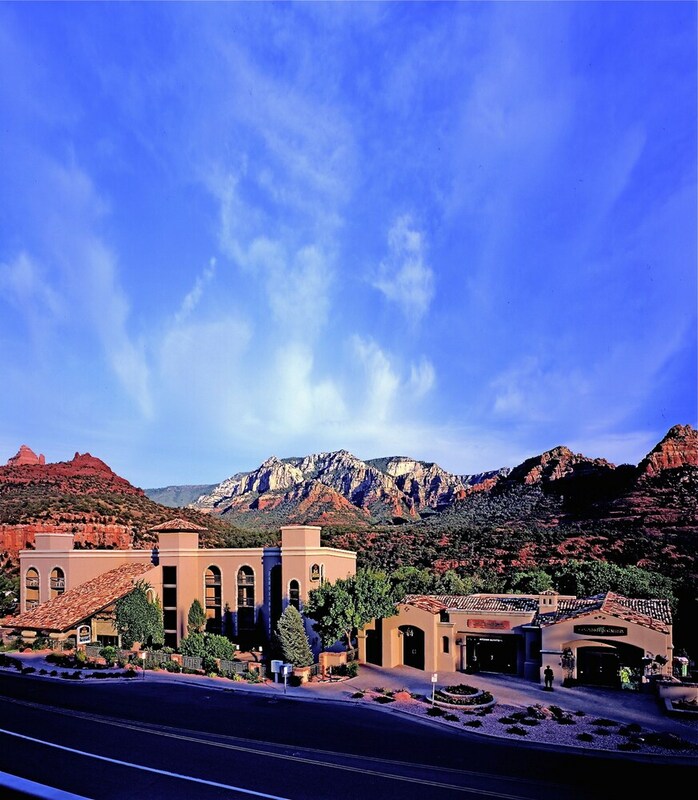 This Sedona hotel provides complimentary wireless Internet access. Cable television is provided. Housekeeping is provided daily. Outdoor tennis courts and a health club are featured at the hotel. 2 spa tubs are on site along with an indoor pool. In addition to a seasonal outdoor pool, other recreational amenities include a sauna.